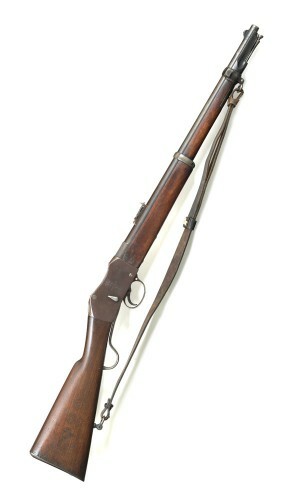 A revised Carbine model, was offered by Enfield in Jan 1878, for the use of Garrison and Field Artillery. 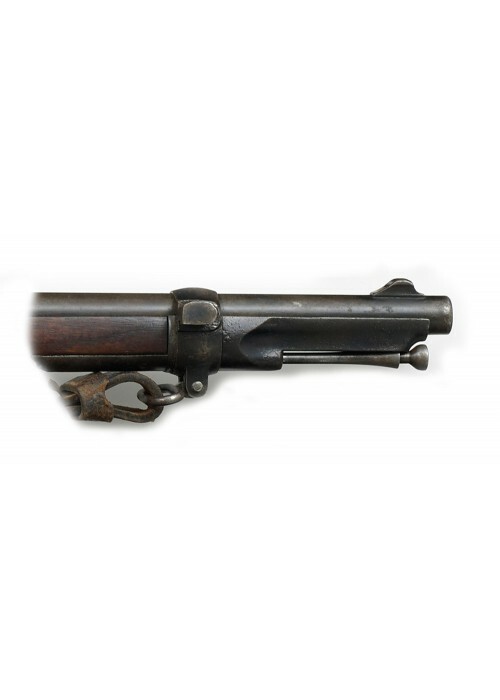 It was a simple change, with a bayonet lug on the right hand side of the front band and a revised form of nose cap, slightly enlarged, which allowed for clearance of the bayonet pommel and muzzle ring. 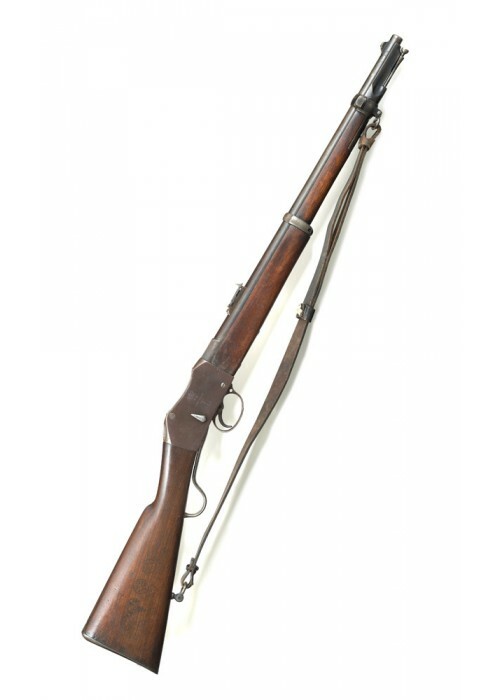 On 9 April 1878, the Carbine Garrison Artillery Martini Henry was adopted, however no purpose made bayonet had yet been decided upon, however its furniture allowed the fitting of yataghan sword bayonets from stores, customized with a reduced muzzle ring and a slot, filed across the pommel to allow it to sit parallel to the barrel. 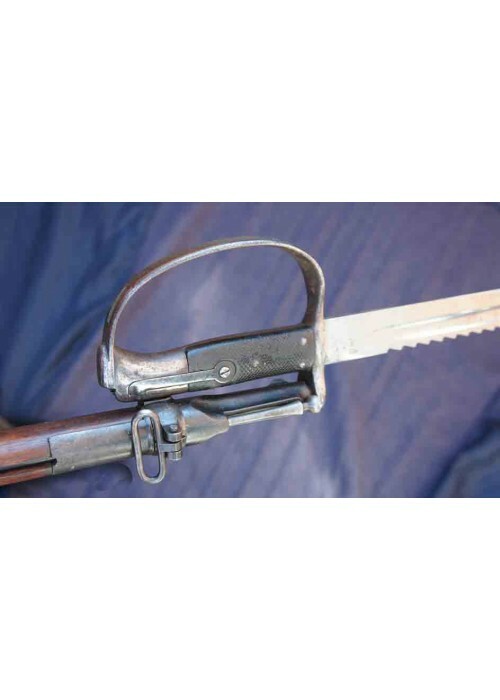 The new design incorporated Sling swivels the front band and on the rear heel of the stock, finally on the 21st July 1879 the purpose design pattern arm, the Carbine Interchangeable Mk1 ARTILLERY was adopted and the word “garrison” dropped from the description, this arm had a new ferocious pattern sword bayonet, the P1879 Mk1 Artillery Bayonet, with a 25.75” blade and 41 cutting teeth for brushwood clearance and wood cutting. 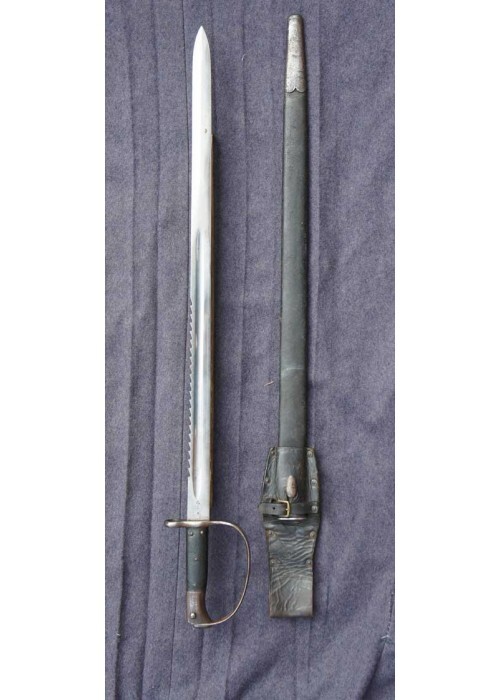 The clearing rod was modified on the Cavalry carbine and the tip was shortened to clear bayonet hilt, it also has hemispherical cup in the tip (like Mk2 rifle) to prevent damage to striker, overall reach with bayonet fitted was 5ft 33/8”.